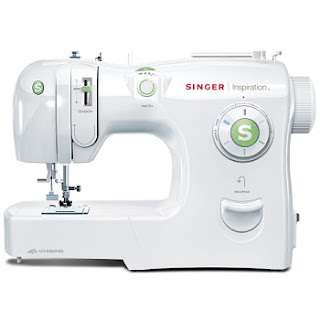 The Empty Nesters: Chenille, Tea Dye and Sewing Machines...Oh, my!! Chenille, Tea Dye and Sewing Machines...Oh, my!! Good evening Ladies!! Over the weekend "Big Daddy" and I went and did a few of my favorite things. Not only did we visit a local Craft Fair, Friday evening after work. But then we headed back out Saturday to a Apple Butter Festival in the quaint town of Kimmswick, MO. Some of you may be familiar with Kimmswick, it is the home of 'The Blue Owl', a very Y-U-M-M-Y restaurant that was featured on the Food Network. Needless to say, after returning home from "Prim Heaven", I was inspired to take a try at making some of my own prim goodness. So, after work today, I went to Joann's and picked up a few supplies. I bought some chenille, embroidery floss and couple other supplies for future projects. Isn't she a beauty girls!?!?!? Anyway, this is where the "Oh,my!!" part of my title comes into play. SEWING IS HARD!!!!! Especially, circles!! I was trying to make some Snowman Ornies, and let's just say my first Snowman's head is a little lop-sided. Poor guy!! But thanks to "Big Daddy ", and his awesome sewing abilites Snowman #2 was MUCH better!! Pretty sad whenever your husband is better at using your sewing machine than your are...LOL! !...Oh well, practice makes perfect right!?!?!? Can't wait to see them. Before you know it....you will be a pro! I can't wait to see your snowmen, either!! What a great present! I got a new sewing machine a couple of years for Christmas; it does everything!! It pretty much sews by itself! Happy Halloween...And Some Craft Show Finds!! A Few Of My Favorite Things...Postponed! !